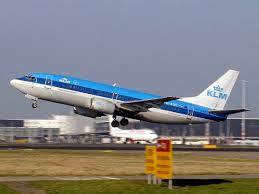 Have you ever flown with KLM? If you have then you know that this is a special airline, if you haven’t then you’re missing out! It’s hands down the best airline I’ve ever flown with! Everything from the amazing website, to the greeting you get at the gate, to the service on the flight is perfect. It’s down to this amazing experience that is had by over 50,000 passengers a day that sees KLM celebrate it’s 95th year in operation this week! 95 years is a long time, but it’s 95 successful years that has seen the Dutch airline go from strength to strength. The airline was created in 1919 and is still going strong to this day. The reason for KLM being such a huge success is because they care about us the passengers, they are constantly finding new ways to lower fares and make our journey as comfortable as possible. Any airline that is inspired to help people discover new locations and help people live out their dreams gets a big thumbs up from me! When I am looking to fly somewhere I always go to KLM first, if they have the flight to the destination I need at the right price then I won’t look anywhere else! I saw a great video online the other day that KLM released to commemorate their 95th anniversary, I had to share it with you guys! I’ve put it below this post for you to watch. If you’ve flown with them it will remind you just how great they really are!